We here at Michiana Paint know when it comes to staining your woodwork how much of a pain it can be. Deciding on the types of stains, how to apply it and the mess that usually results it a lot to take in. That’s why we’re here. We can take you through every step, guiding you on what to do and what not to do. And with our professional experience you can count on good results the first time. And we get in and out with minimal interruptions with your life. A lot of factors go into your decisions about what type of stain to treat your woodwork. Will it be outdoors or indoors, do you want the look of the wood to come through or do you want more of a ‘paint’ feel. We can help with all those decisions. We’ll talk about outdoor stains first. Before you do anything you need to the wood clean so the stain can adhere to it properly. We can pressure wash any and all wood you have to get all the grit and grime off of it first. Then we inspect the wood to make sure there isn’t any rot or splits. After we’ve made sure that everything is good, we can sand it down to get back to the bare wood. That way when the stain is applied, not only will it stick better, it will also make the beauty of the wood so shine through. 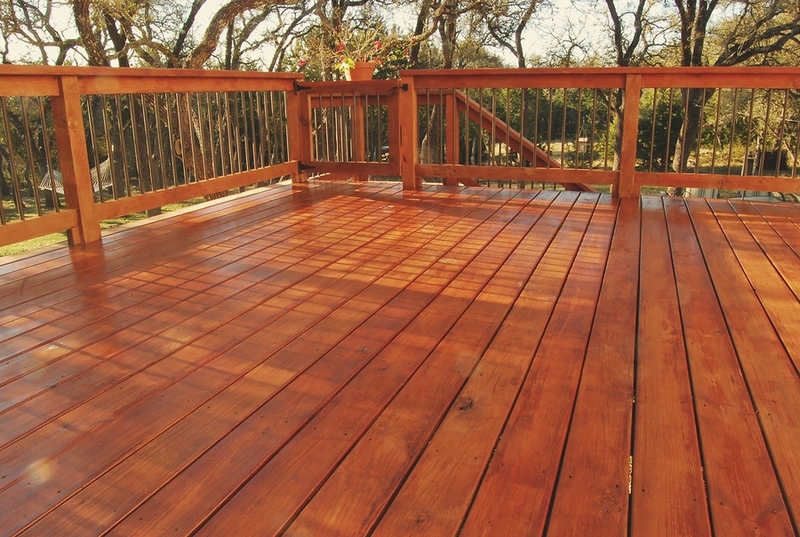 Also with outdoor wood, you have to make sure whatever stain or sealant you’re applying will protect it from the elements. Not only do you get the sun, the rain, snow, you also get wind and possible hail damage. Depending on whether it’s transparent, semi-transparent, solid or semi-solid stain, you’ll different levels of protection. There are so many types of woods that we won’t go into detail here but when we come out and inspect it then we can figure out what will work best for you and your existing woodwork. Depending on the wood we might even lay down a base primer before applying the stain if you’re going for a more of a paint style look. You also have to look into oil based stains versus water based stains. Water based stains provide a much richer color than oil based stains. If you want more protection for your wood then oil based stains will work better because they are thicker but they also emit more of a noxious odor. The finishes can vary quite a bit. Clear finishes are just that, whatever your wood looks like, it still will after the clear is applied. Wood toners add just a bit of color to the base wood for a nice appearance. Solid or opaque color stain still lets you see the grain but adds even more color. The choice is your is yours and we are here to help. So whatever your wood staining needs are, we here at Michiana Paint can help and make the process more enjoyable.